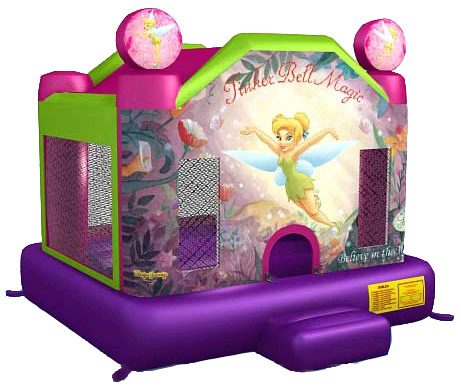 This licensed Tinker Bell FunJump will bring the essence of Disney, with a little pixie dust, to your next party. Gorgeous artwork depicts Tinker Bell spreading some enchantment throughout her flower-filled pixie land and urging everyone to believe in the magic! The weight limit for this jump is 500lbs. This rental's based price is for 6 hours. If additional rental time is needed we do offer overnight rental which is 25% extra.